An Atlas of Boone, Kenton and Campbell Counties, by D. J. Lake, Philadelphia: D. J. Lake and Co., 1882. Atlas of Historical County Boundaries: Kentucky, John Hamilton Long (editor), Gordon Denboer (editor), Charles Scribners Publishing, 1995, 485 pp. ISBN: 0133095436. Behind the Scenery in Kentucky, Kentucky Geological Survey, ser. 9, Special Publication 10, 1958, 144 pp. The Bluegrass Cultural Landscape, Kentucky Heritage Council Regional, by Christine Amos. Boone County: Survey of Historic Sites in Kentucky, Kentucky Heritage Commission, Frankfort, Kentucky: Kentucky Heritage Commission, 1979. Boyle Limestone of the Southeastern Knob Belt, (Open File Report), by F. H. Walker, Kentucky Geological Survey, 1950, 37 pp. Bronston and Burnside Members: Subdivision of the St. Louis Limestone in South-Central Kentucky, by G. R. Dever, Jr., and J. R. Moody, Kentucky Geological Survey, 2002, 18 pp. The Building Stones of Kentucky, a detailed report covering the examination, analysis and industrial evaluation of the principal building stone deposits of the state, by Charles Henry Richardson, Kentucky Geological Survey, Frankfurt, Kentucky, 1923, 355 pp. Calloway Creek Limestone and Ashlock and Drakes Formations (Upper Ordovician) in South-Central Kentucky, by G. W. Weir and others, USGS Bulletin, U. S. Geological Survey, 1965, 36 pp. "Carbonate-Rock Resources of the High Bridge Group (Middle Ordovician), Central and North Central Kentucky," in T. G. Roberts, ed., GSA Cincinnati 1981, Field trip guidebooks, v. 1: Stratigraphy, Sedimentology: American Geological Institute, 1981, pp. 9-12. Cave Hill Cemetery: A Pictorial Guide and Its History - 2000 Edition, by Samuel W. Thomas, 1985, 132 pp. You can contact Cave Hill Cemetery directly to obtain a copy of this book. 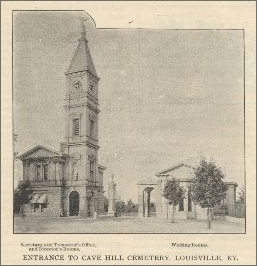 “Cave Hill Cemetery, Louisville, Ky.,” The Monumental News, November 1892. Compositional Variations in High-Calcium Limestone Deposits in Western Kentucky, by G. R. Dever, Jr., and P. McGrain, Kentucky Geological Survey, 1973 (reprint), 8 pp. Contributions To The Geology of Kentucky: References Cited, United States Geological Survey. A Deposit of High-Calcium Limestone near Barkley Lake, Kentucky (Information Circular) by P. McGrain, Kentucky Geological Survey, 1964, 12 pp. Description of the Kenova Quadrangle (Kentucky-West Virginia-Ohio), U. S. Geological Survey Atlas, Folio 184, 1912. The Economic Geology of Lewis and Rowan Counties (Kentucky), F. J. Fohs, Kentucky Geological Survey, ser. 3, County Report 3, 1912, 62 pp. Economic Geology of Tell City and Owensboro Quadrangles (Kentucky), Kentucky Geological Survey, by A. F. Crider, 4th ser., v. 1, pt. 1, 1913, pp. 263-316. Estillville Folio, Kentucky-Virginia-Tennessee, description by M. R. Campbell, Geologic Atlas U. S., Folio 12, 1894. A Field Guide to American Houses, by Virginia and Lee McAlester, New York: Alfred A. Knopf, 1984. Frontier Kentucky, by Otis K. Rice, University Press of Kentucky, 1993. “Generalized Geologic Map for Land-use Planning for Menifee County, Kentucky,” (PDF) Daniel L. Carey, Kentucky Geological Survey, and Peter Eclov, University of Kentucky. The Geography of the Blue Grass Region of Kentucky, Kentucky Geological Survey, ser. 6, v. 23, 1927, 215 pp. The Geography of the Jackson Purchase, by D. H. Davis, Kentucky Geological Survey, ser. 6, v. 9, 1923, 185 pp. The Geography of the Mountains of Eastern Kentucky, Kentucky Geological Survey, ser. 6, v. 18, 1924, 180 pp. Geography of the Pennyroyal, by C. O. Sauer, Kentucky Geological Survey, ser. 6, v. 25, 1927, 303 pp. Geologic Map of Kentucky, Kentucky Geological Survey, ser. 6, scale 1:500,000, 1929. Geologic Map of Kentucky, R. C. McDowell, G. J. Grabowski, Jr., and S. L. Moore, U.S. Geological Survey, scale 1:250,000, 4 sheets, 1981. Geologic Map of Part of the Cave In Rock Quadrangle, Crittenden County, Kentucky, U. S. Geological Survey Geologic Quadrangle Map GQ-1201, 1974b. Geologic Map of Part of the Smithland Quadrangle, Livingston County, Kentucky, by D. H. Amos, United States Geological Survey Geologic Quadrangle Map GQ-657, 1967. Geologic Map of Parts of the Benham and Appalachia Quadrangles, Harlan and Letcher Counties, Kentucky, A. J. Froelich and B. D. Stone, U. S. Geological Survey Geologic Quadrangle Map GQ-1059, 1973. Geologic Map of the Albany Quadrangle, Kentucky-Tennessee, by R. Q. Lewis, Sr., and R. E. Thaden, U. S. Geological Survey Geologic Quadrangle Map GQ-550, 1966. Geologic Map of the Bangor Quadrangle, East-Central Kentucky, by D. K. Hylbert and J. C. Philley, U. S. Geological Survey Geologic Quadrangle Map GQ-947, 1971. Geologic Map of the Berea Quadrangle, East-Central Kentucky, G. W. Weir, U. S. Geological Survey Geologic Quadrangle Map GQ-649, 1967. Geologic Map of the Birmingham Point Quadrangle, Western Kentucky, K. F. Fox, Jr., and W. W. Olive, U. S. Geological Survey Geologic Quadrangle Map GQ-471, 1966. Geologic Map of the Bobtown Quadrangle, Pulaski County, Kentucky, by R. Q. Lewis, Sr., A. R. Taylor, and G. W. Weir, U. S. Geological Survey Geologic Quadrangle Map GQ-1102, 1973. Geologic Map of the Burna Quadrangle, Livingston County, Kentucky, United States Geological Survey Geologic Quadrangle Map GQ-1150, 1974. Geologic Map of the Caledonia Quadrangle, Trigg and Christian Counties, Kentucky, by G. E. Ulrich and Harry Klemic, U. S. Geological Survey Geologic Quadrangle Map GQ-604, 1966. Geologic Map of the Crider Quadrangle, Caldwell County, Kentucky, by W. B. Rogers and R. D. Trace, U. S. Geological Survey Geologic Quadrangle Map GQ-1283, 1976. Geologic Map of the Custer Quadrangle, Breckinridge and Hardin Counties, Kentucky, United States Geological Survey Geologic Quadrangle Map GQ-1367, 1977. Geologic Map of the Elkhorn City Quadrangle, Kentucky-Virginia, and Part of the Harman Quadrangle, Pike County, Kentucky, by D. C. Alvord and R. L. Miller, United States Geological Survey Geologic Quadrangle Map GQ-951, 1972. Geologic Map of the Fort Knox Quadrangle, North-Central Kentucky, by R. C. Kepferle and E. G. Sable, U. S. Geological Survey Geologic Quadrangle Map CQ-1375, 1977. Geologic Map of the Frakes Quadrangle and Part of the Eagan Quadrangle, Southeastern Kentucky, by W. L. Newell, U. S. Geological Survey Geologic Quadrangle Map GQ-1249, 1975. Geologic Map of the Frenchburg Quadrangle, East-Central Kentucky, by H. P. Hoge, U. S. Geological Survey Geologic Quadrangle Map GQ-1390, 1977. Geologic Map of the Grayson Quadrangle, Carter County, Kentucky, by C. L. Whittington and J. C. Ferm, U. S. Geological Survey Geologic Quadrangle Map GQ-640, 1967. Geologic Map of the Hammonville Quadrangle, Larue and Hart Counties, Kentucky, by F. B. Moore, U. S. Geological Survey Geologic Quadrangle Map GQ-1051, 1972. Geologic Map of The Hellier Quadrangle, Kentucky-Virginia and Part of The Clintwood Quadrangle, Pike County, Kentucky, by D. C. Alvord, United States Geological Survey, Geologic Quadrangle Map GQ-950, 1971. Geologic Map of the Helton Quadrangle, Southeastern Kentucky, by D. D. Rice, U. S. Geological Survey Geologic Quadrangle Map GQ-1227, 1975. Geologic Map of the Hibernia Quadrangle, Central Kentucky, by S. L. Moore, U. S. Geological Survey Geologic Quadrangle Map GQ-1352, 1976. Geologic Map of the Higginsport Quadrangle, Ohio-Kentucky, and Part of the Russellville Quadrangle, Mason County, Kentucky, by W. F. Outerbridge, M. P. Weiss, and R. H. Osborne, U. S. Geological Survey Geologic Quadrangle Map GQ-1065, 1973. Geologic Map of the Iola Quadrangle, Livingston and Crittenden Counties, Kentucky: U. S. Geological Survey Geologic Quadrangle Map GQ-1288, 1976. Geological Map of the Levee Quadrangle, East-Central Kentucky, by R. C. McDowell, U. S. Geological Survey Geologic Quadrangle Map GQ-1478, 1978. Geologic Map of the Load Quadrangle, Greenup County, Kentucky, by J. A. Sharps, U. S. Geological Survey Geologic Quadrangle Map GQ-519, 1966. Geologic Map of the Louisville East Quadrangle, Jefferson County, Kentucky, U. S. Geological Survey Geologic Quadrangle Map GQ-1203, 1974. Geologic Map of the Marion Quadrangle, Crittenden and Caldwell Counties, Kentucky, U. S. Geological Survey Geologic Quadrangle Map GQ-547, 1966. Geologic Map of the McKee Quadrangle, Jackson and Owsley Counties, Kentucky, G. W. Weir and M. D. Mumma, U. S. Geological Survey Geologic Quadrangle Map GQ-1125, 1973. Geologic Map of the Mintonville Quadrangle, Casey and Pulaski Counties, Kentucky, by R. Q. Sr., and A. R. Taylor, U. S. Geological Survey Geologic Quadrangle Map GQ-1198, 1974. Geologic Map of the Olympia Quadrangle, Bath and Menifee Counties, Kentucky, by R. C. McDowell and G. W. Weir, U. S. Geological Survey Geologic Quadrangle Map GQ-1406, 1977. Geologic Map of the Parksville Quadrangle, Boyle and Casey Counties, Kentucky, U. S. Geological Survey Geologic Quadrangle Map GQ-1494, 1978. Geologic Map of Part of the Jenkins East Quadrangle, Pike and Letcher Counties, Kentucky, by D. E. Wolcott, U. S. Geological Survey Geologic Quadrangle Map GQ-1210, 1974. Geologic Map of the Louellen Quadrangle, Southeastern Kentucky, by A. J. Froelich, U. S. Geological Survey Geologic Quadrangle Map GQ-1060, 1973. Geologic Map of the McKee Quadrangle, Jackson and Owsley Counties, Kentucky, by G. W. Weir and M. D. Mumma, U. S. Geological Survey Geologic Quadrangle Map GQ-1125, 1973. Geologic Map of the Palmer Quadrangle, East-Central Kentucky, U. S. Geological Survey Geologic Quadrangle Map GQ-613, 1967. Geologic Map of the Pennington Gap Quadrangle, Lee County, Virginia, and Harlan County, Kentucky, by R. L. Miller and J. B. Roen, U. S. Geological Survey Geologic Quadrangle Map GQ-1098, 1973. Geologic Map of the Raywick Quadrangle, Central Kentucky, U. S. Geological Survey Geologic Quadrangle Map GQ-1048, 1973. Geologic Map of the Rock Haven Quadrangle, Kentucky-Indiana and Part of the Laconia Quadrangle, Kentucky, by C. F. Withington and E. G. Sable, U. S. Geological Survey Geological Quadrangle Map GQ-780, 1969. Geologic Map of the Roxana Quadrangle, Letcher and Harlan Counties, Kentucky, by E. K. Maughan, U. S. Geological Survey Geologic Quadrangle Map GQ-1299, 1976. Geologic Map of the Saxton Quadrangle and Part of the Jellico East Quadrangle, Whitley County, Kentucky, by C. L. Rice and W. L. Newell, U. S. Geological Survey Geologic Quadrangle Map GQ-1264, 1975. Geologic Map of the Stanford Quadrangle, Boyle and Lincoln Counties, Kentucky, by F. R. Shawe and P. B. Wigley, U. S. Geological Survey Geologic Quadrangle Map GQ-1137, 1974. Geologic Map of the Vanceburg Quadrangle, Kentucky-Ohio, by R. H. Morris and K. L. Pierce, U. S. Geological Survey Geologic Quadrangle Map GQ-598, 1967. Geologic Map of the Wesleyville Quadrangle, Northeastern Kentucky, by J. C. Philley and J. R. Chaplin, U. S. Geological Survey Geologic Quadrangle Map GQ-1305, 1976. Geologic Map of the Willard Quadrangle, Eastern Kentucky, by W. R. Brown, U. S. Geological Survey Geologic Quadrangle Map GQ-1387, 1977. Geologic Mapping of Kentucky-A history and Evaluation of the Kentucky Geological Survey, U. S. Geological Survey Mapping Program, 1960-1978, U. S. Geological Survey Circular 801, 1981, 22 pp. Geologic Maps of the Jackson Purchase Region, Kentucky, U. S. Geological Survey Miscellaneous Investigations Map 1-1217, 1980. Geologic Names of Ordovician Rock-Stratigraphic Units Exposed in Kentucky, by G. W. Weir and E. R. Creasman, U. S. Geological Survey Open-File Report 78-796, 1978, 254 pp. Geology and Mineral Resources of Jefferson County, Kentucky, by Charles Butts, Kentucky Geological Survey, 1915, 270 pp. Geology and Mineral Resources of Kentucky, of the Physiography, Stratigraphy, Areal and Structural Geology, and Mineral Resources of Each of the Counties Comprising the Commonwealth, by Willard Rouse Jillson, Kentucky Geological Survey, 1928. 409 pp. 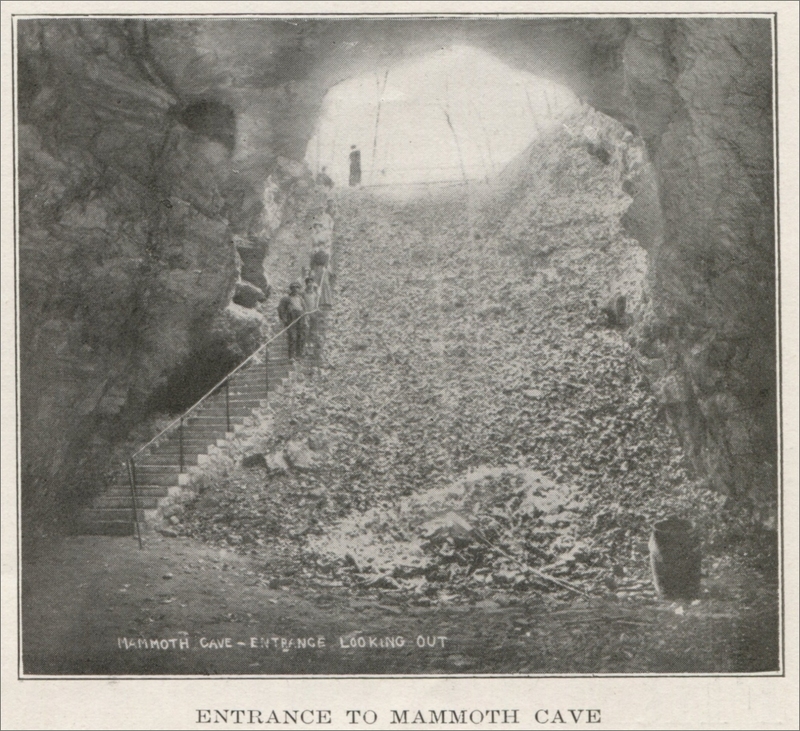 Geology and Mineral Resources of Part of the Cumberland Gap Coal Field, Kentucky, by G. H. Ashleyand L. C. Glenn, United States Geological Survey Professional Paper 49, 1906, 239 pp. Geology and Mineral Resources of the Jackson Purchase Region, (bulletin), by J. K. Roberts and Benjamin Gildersleeve, Kentucky Geological Survey, 1945, 3-11 pp. Geology and Mineral Resources of the Jackson Purchase Region, Kentucky, (bulletin), by J. K. Roberts, B. Gildersleeve, and L. B. Freeman, Kentucky Geological Survey, 1950, 114 pp. Geology and Mineral Resources of the Paintsville (15-min.) Quadrangle, Kentucky, by R. E. Hauser, Kentucky Geological Survey, 1953, 80 pp. Geology of Kentucky, by A. C. McFarlan, Lexington, University of Kentucky, 531 pp. 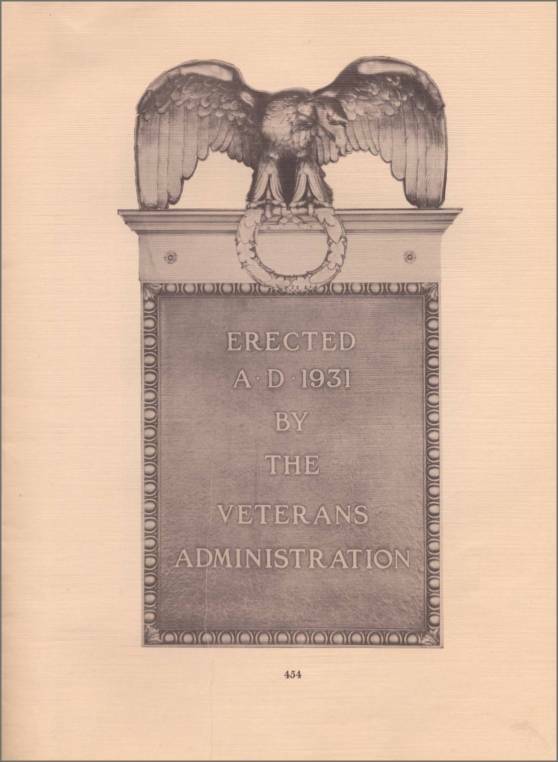 (reprinted 1961), 1943. The Geology of Kentucky, by A. M. Miller, Kentucky Department of Geology and Forestry, ser. 5, Bulletin 2, 1919, 292 pp. "Geology of Recent Deep Drilling in Eastern Kentucky," by G. R. Thomas, Kentucky Geological Survey, ser. 10, Spec. Pub. 3, 1960, pp. 10-28. Geology of the Carter Caves Sandstone (Mississippian) in Northeastern Kentucky, by X. J. Englund and J. F. Windolph, Jr., U. S. Geological Survey Professional Paper 750-D, 1971, p. D99-DIO4. Geology of the Constantine Quadrangle, Kentucky, by E. G. Sable, U. S. Geological Survey Geologic Quadrangle Map GQ-302, 1964. Geology of the Corbin Quadrangle, Kentucky, by W. P. Puffett, U. S. Geological Survey Geologic Quadrangle Map GQ-231, 1963. Geology of the Eddyville Quadrangle, Kentucky, by W. B. Rogers, U. S. Geological Survey Geologic Quadrangle Map GQ-255, 1963. Geology of the Eli Quadrangle, Kentucky, by R. E. Thaden and R. Q. Lewis, Sr., U. S. Geological Survey Geologic Quadrangle Map GQ-393, 1965. Geology of the Ewing Quadrangle, Kentucky and Virginia, K. J. Englund, H. L. Smith, L. D. Harris, and J. G. Stephens, U. S. Geological Survey Geologic Quadrangle Map GQ-172, 1961. Geology of the Ewing Quadrangle, Kentucky and Virginia, U. S. Geological Survey Bulletin 1142-B, 1963, 23 pp. Geology of the Flaherty Quadrangle, Kentucky, by W. C. Swadley, U. S. Geological Survey Geologic Quadrangle Map GQ-229, 1963. Geology of the Holland Quadrangle, Kentucky-Tennessee (Map), by W. H. Nelson, W.H., U. S. Geological Survey Geologic Quadrangle Map GQ-174, scale 1:24,000, 1962. The Geology of the Jeptha Knob, by W. H. Bucher, Kentucky Geological Survey, ser. 6, v. 21, 1925, pp. 193-237. Geology of the Grand Rivers Quadrangle, Kentucky, by W. H. Hays, U. S. Geological Survey Geologic Quadrangle Map GQ-328, 1964. Geology of the Holland Quadrangle, Kentucky-Tennessee, by W. H. Nelson, U. S. Geological Survey Geologic Quadrangle Map GQ-174, scale 1:24,000, 1962. Geology of the Jackson Purchase Region, Kentucky, W. W. Olive, Geological Society of Kentucky, Spring Field Conference, 1972, 11 P.
Geology of the Jackson Purchase Region, Kentucky, by W. W. Olive, Geological Society of Kentucky, Spring Field Conference, 1972, 11 P.
Geology of the Kentucky Part of the Shawneetown Quadrangle, by Wallace Lee, Kentucky Geological Survey, ser. 4, v. 4, pt. 2, 1916, 73 pp. Geology of the Lower Pennsylvanian in Kentucky, Indiana, and Illinois (Guidebook and roadlog for Illinois Basin Consortium (1989) field conference for Geological Society of America), coordinated by J.C. Cobb, Illinois Basin Consortium – Kentucky Geological Survey, 1989, 107 pp. Geology of the Salem Quadrangle, Kentucky, by R. D. Trace, U. S. Geological Survey Geologic Quadrangle Map GQ-206, 1962. Geology of the Shopville Quadrangle, Kentucky, by N. L. Hatch, Jr., U. S. Geological Survey Geologic Quadrangle Map GQ-282, 1964. Geology of the Waterview Quadrangle, Kentucky, by J. M. Cattermole, U. S. Geological Survey Geologic Quadrangle Map GQ-286, 1963. Guide to the Rocks and Fossils of Jefferson County, Kentucky, Southern Indiana, and Adjacent Areas, Louisville, Ky., University of Louisville Printing Services, 1972, 331 pp. Harrodsburg Limestone in Kentucky, by E. G. Sable, R. C. Kepferle, and W. L. Peterson, U. S. Geological Survey Bulletin 1224-1, 1966, 12 pp. High-Calcium and Low-Magnesium Limestone Resources in the Region of the Lower Cumberland, Tennessee, and Ohio Valleys, Western Kentucky, (bulletin) by G. R. Dever, Jr., and P. McGrain, Kentucky Geological Survey, 1969, 192 pp. High-Calcium Limestone in the Kentucky Lake Area (Information Circular), by J. A. Stokley and E. M. Luttrel, 1952, 3 pp. High-Calcium Limestone in the Somerset, Pulaski County, Area (Information Circular), by J. A. Stokley and F. H. Walker, Kentucky Geological Survey, 1952, 8 pp. High-Calcium Limestone Resources in Kentucky (economic map), Kentucky Geological Survey, 1996. Historic Maps of Kentucky, by Thomas Dionysius, Clark, University Press of Kentucky, 1979. 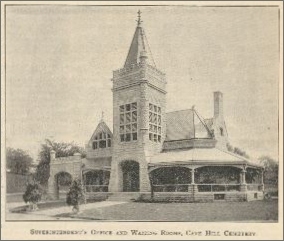 The History of Bowling Green and Warren County, Nancy Baird and Carol Crowe-Carraco, Consultants; Wayne Hoffman, Director of the Center for Local Government, Western Kentucky University. Amy Huot and F. Grant Whittle, Design and Layout, City-County Planning Commission of Warren County, 1989. History of Kentucky, by Lewis Collins, revised by Richard H. Collins, Covington, Kentucky, Collins and Co., 1882. Houses by Mail: A Guide to Houses From Sears, Roebuck and Company, by Katherine Cole Stevenson and H. Ward Jandl, Washington, D. C.: The Preservation Press, 1986. "Industrial and Metallic Minerals," Kentucky Fact Sheet. Industrial Limestone Resources Along the Ohio River Valley of Kentucky, by G. R. Dever, Jr., and others, 1978 (reprint), 5 pp. “Industrial Limestones of Kentucky,” by J. A. Stokley, Kentucky Geological Survey Report Inv. 2, 1949. "Industrial Limestones of Kentucky No. 2," by J. A. Stockley and A. C. McFarlan, Kentucky Geological Survey Report Inv. 4, 1952. "Industrial Limestones of Kentucky No. 3," by J. A. Stockley and F. H. Walker, Kentucky Geological Survey Report Inv. 8, 1953. 62 pp. The Jackson Purchase Region, Kentucky, and in Adjacent Parts of Tennessee, U. S. Geological Survey Bulletin 1282, 35 pp. “The Jewish Cemeteries of Louisville, Kentucky: Mirrors of Historical Processes and Theological Diversity through 150 Years,” by David Gradwohl, in Markers X, Association for Gravestone Studies, 1993. Kentucky: A Guide to the Bluegrass State, Federal Writers Project. New York, 1939. Kentucky and Appalachia Department of Old Kentucky Book Store, presented by Duane and Eva Bristow. Kentucky Place Names, by Robert M. Rennick, University Press of Kentucky, Reprint edition February 1988, 375 pp. ISBN: 0813101794. Kentucky State Gazetteer and Business Directory, Cincinnati, R. L. Polk and Company, 1865, 1879-80, 1883-84, 1896. 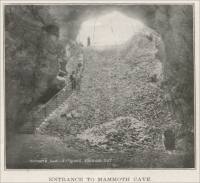 Kentucky's Mineral Resources, Publication Number: 2378, by W. R. Jillson, Kentucky Geological Survey, 1927, 45 pp. "Kentucky's Mineral Resources," Publication Number: 2341, by W. R. Jillson, Kentucky Geological Survey, 1930, 219-262 pp. Kentucky's Rocks and Minerals, W. L. Helton, Kentucky Geol. Survey Spec. Pub., ser. X, 5P9, 1964, 55 pp. The Lexington Limestone (Middle Ordovician) of Central Kentucky, by D. F. B. Black, E. R. Cressman, and W. C. MacQuown, Jr., United States Geological Survey Bulletin 1224-C, 1965, 29 pp. Limestone Resources in the Appalachian Region of Kentucky, by P. McGrain and G. R. Dever, Jr., Kentucky Geological Survey, (Bulletin), 1967, 12 pp. London Folio, Kentucky, description by M. R. Campbell, Geologic Atlas U. S., Folio 47, United States Geological Survey, Government Printing Office, Washington, D. C., 1898. Louisville (A Preliminary Study of the Influence of Geology, Physiography, and Mineral Resources Upon the Industrial and Commercial Development of a City), Publication Number: 2293, by W. G. Burroughs, Kentucky Geological Survey, 1927, 250-303 pp. Lower Howard's Creek An Historical Perspective, by Jeffery G. Mauck, unpublished report on file at Cultural Resource Analysts, Inc. Lexington, Kentucky, 1997. Lower Howard's Creek, by Clifton R Smith, privately published, Winchester, Kentucky. “Mammoth Cave Memorial” (the Soldier’s Memorial placed inside the main entrance of Mammoth Cave in 1923, today located in Mammoth Cave National Park, Kentucky), in The Monumental News, April 1923, pp. 207-208. Maps Showing Mines, Prospects, and Exposures in the Beaver Creek Wilderness, McCreary County, Kentucky, Department of the Interior, U.S. Geological Survey, by Richard W. Hammack, publisher: Reston, Va., The Survey; Denver, Colorado, 1986. Maps Showing Mines, Prospects, and Exposures in the Beaver Creek Wilderness, McCreary County, Kentucky (Map), by Richard W. Hammack, publisher: Reston, Va., U. S. Geological Survey, 1986. Mineral Resources and Mineral Industries Map of Kentucky, Kentucky Geological Survey - Kentucky Department of Commerce, 1962. (l"=8 mi). Mineral Resources and Mineral Industries of Kentucky, Publication Number: 1832, Kentucky Geological Survey – Kentucky Department of Commerce, 1974, 1 pp. Mineral Resources of Beaver Creek Wilderness: McCreary County, Kentucky, by R. W. Hammack and R. B. Ross, Jr., Publication Number: 1306 (Open File Report), U. S. Bureau Mines, 1982, 36 pp. "Mineral Resources of Kentucky and Their Future Development," Publication Number: 2335, by W. G. Burroughs, Kentucky Geological Survey, 1930, 169-185 pp. "Mineral Resources of the Ashland, Kentucky Region," Publication Number: 2351, by W. G. Burroughs, Kentucky Geological Survey, 1931, 231-266 pp. Mineral Resources of The Illinois - Kentucky Mining District, United States Geological Survey Professional Paper 970, United States Geological Survey. 15 pp. Mineral Resources of the Illinois-Kentucky Mining District, by D. M. Pinckney, U. S. Geological Survey Professional Paper 970, 1976, 15 P.
Mineral Resources of the Upper Cumberland Valley of South-Eastern Kentucky and South-Western Virginia, by A. S. McCreath and V. E. D'Inilliers, 1888, 152 pp. Mineral Resources Summary For Kentucky 1953 and 1954, by Preston McGrain and Robert J. Floyd, 1956, 45 pp. Mineral Resources Summary For Kentucky 1955 and 1956, Publication Number 5069, by Preston McGrain, Kentucky Geological Survey, 1958, 44 pp. The Mississippian and Pennsylvanian (Carboniferous) Systems in the United States-Virginia, U. S. Geological Survey Professional Paper 1110-C, 1979, 21 pp. The Monteagle Limestone in South-Central Kentucky, R. Q. Lewis, Sr., U. S. Geological Survey Bulletin 1324-E, 1971, 10 pp. 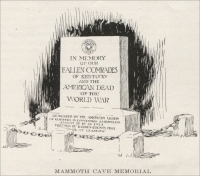 “Monumental Ambition: A Kentucky Stonecutter’s Career,” by Deborah A. Smith, in Markers XI, pp. 168-185, Association for Gravestone Studies. Mountain Range: A Dictionary of Expressions from Appalachia to the Ozarks (Facts on File Dictionary of American Regional Expressions, Vol. 4), by Robert Hendrickson, Facts on File, Inc., July 1997, 160 pp. ISBN: 0816021139. National Atlas of the United States, U. S. Geological Survey, Washington, D. C., 1970, 417 pp. "Pennsylvanian Sandstones of the Eastern Interior Coal Basin," by Raymond Siever, Journal of Sedimentary Petrology, v. 27, 1957, pp. 227-250. People's House: Governor's Mansions of Kentucky, by Thomas D. Clark and Margaret A. Lane, University Press of Kentucky, November 2002, 320 pp. ISBN: 0813122538. The Petrography of Certain Igneous Dikes of Kentucky, by J. B. Koenig, Kentucky Geological Survey, ser. 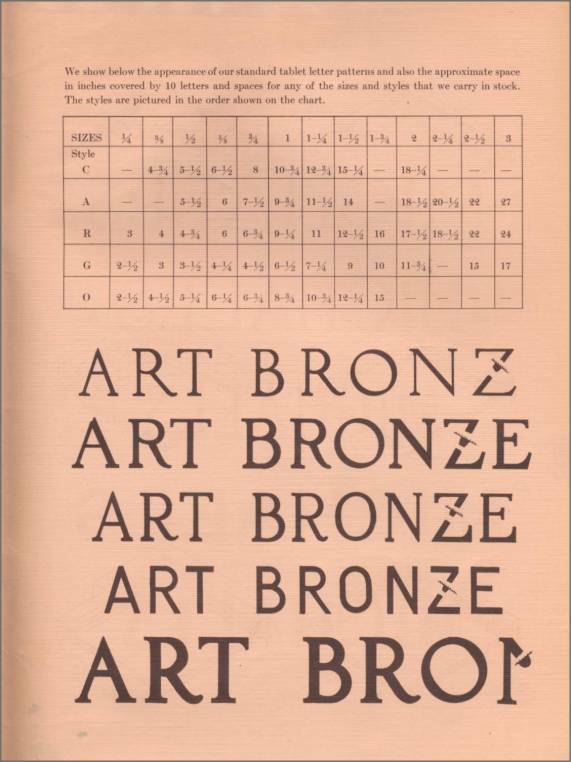 9, Bulletin 21, 1956, 56 pp. Preliminary Map Showing Structural Geologic Fabric of Central Kentucky and Part of Ohio, U. S. Geological Survey Open-File Report 78-454, scale 1:500,000, 1978. Principal Outcrop of Limestone and Dolomite Resources in Kentucky (Map), Kentucky Geological Survey, 1996. Regional Structure of the Southeast Missouri and Illinois-Kentucky Mineral Districts, by A. V. Heyl, M. R. Brock, J. L. Jolly, and C. E. Wells, U. S. Geological Survey Bulletin 1202-B, 1965, 20 pp. Report on the Geology and Mineral Resources of the Dawson Springs Quadrangle, Publication Number: 2174, by A. F. Crider, Kentucky Geological Survey, 1914, 7-67 pp. Report of the Geological Survey in Kentucky Made During the Years 1854-1855, by D. D. Owen, Kentucky Geological Survey, ser. 1, v. 1, 1856, 416 pp. Resume of Kentucky's Mineral Resources, by W. R. Jillson, Kentucky Geological Survey, 1926, 11 pp. Richmond Folio, Kentucky, description by M. R. Campbell, Geologic Atlas U. S., Folio 46, United States Geological Survey, Government Printing Office, Washington, D. C., 1898. Rock Art of Kentucky (Perspectives on Kentucky's Past), by Fred E. Coy (Editor), Thomas C. Fuller (Contributor), Larry G. Meadows, James L. Swauger (Contributor), University Press of Kentucky; December 1996, 176 pp. ISBN: 0813119863. The Saint Peter Sandstone in Kentucky, by Willard R. Jillson, Louisville: Standdard Printing Co., 1938, 46 pp. Sandstone Units of the Lee Formation and Related Strata in Eastern Kentucky, USGS Professional Paper, by C. L. Rice, 1984, 53 pp. Selected Structural Features and Associated Dolostone Occurrences in the Vicinity of the Kentucky River Fault System, by D. F. B. Black and D. C. Haney, Geological Society of Kentucky, Annual Field Conference, 1975, Guidebook, Lexington, Kentucky Geological Survey, 1975. Shorter Contributions to Stratigraphy and Structural Geology, USGS Professional Paper, U. S. Geological Survey, 1979. The Stonemason: A Play in Five Acts, by Cormac McCarthy, 1994. St. Thomas Episcopal Church: First One Hundred Twenty Years, by Mary Helen McGuire. Stone of the Most Beautiful Kind: The White Stone Quarry of Bowling Green, Christy Spurlock Smith, The Register of the Kentucky Historical Society, 92(1), Winter, 1994, 44-72. Stratigraphic Relationships in the Lower and Middle Newman Limestone (Mississippian), East-Central and Northeastern Kentucky, by G. R. Dever, Jr., Kentucky Geological Survey, ser. 11, thesis ser. 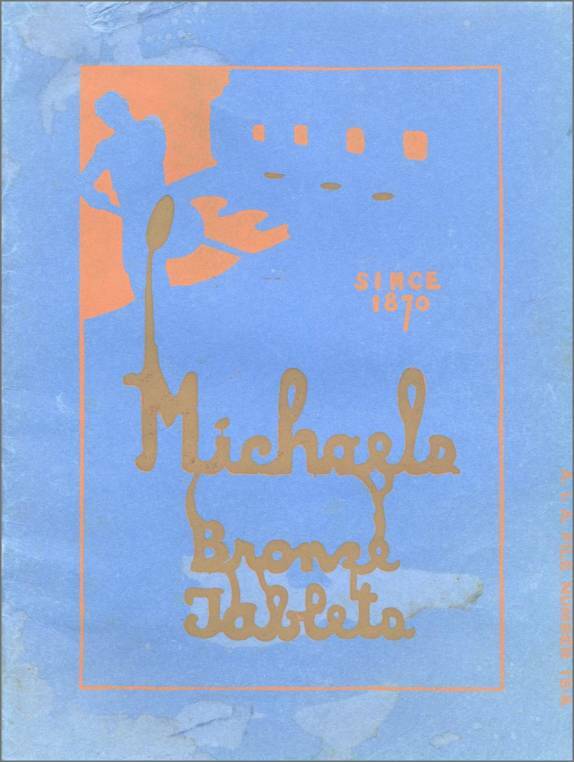 1, 49 p.; 1973, M.S. thesis, University of Kentucky, Lexington, Ky., 1980, 121 pp. Strodes Creek Member (Upper Ordovician) A New Map Unit in the Lexington Limestone of North-Central Kentucky, by D. F. B. Black and N. P. Cuppels, U. S. Geological Survey Bulletin 1372-C, 1973, 16 p.
Structural Framework and Mineral Resources of the Virginia-Piedmont, by W. R. Brown, Kentucky Geological Survey, ser. 9, Spec. Pub. 1, 1953. pp. 88-111. Structural Geology of North America, A. J. Eardley, New York, Harper Brothers, 1951, 624 pp. The Synagogues of Kentucky: Architecture and History (Perspectives on Kentucky's Past), by Lee Shai Weissbach, University Press of Kentucky, April 1995, 184 pp. ISBN: 081311912X. The Topography of Kentucky, Kentucky Geological Survey, ser. 6, v. 30, 1927, 291 pp. "The Value of Kentucky's Geologic Quadrangle Maps," In Focus, Volume 2, number 2, Summer 2001, Kentucky Geological Survey, from list of In Focus articles. A Walking Tour of Petersburg (Kentucky), Boone County Historic Preservation Review Board, Boone County Historic Preservation Office, Burlington, 1991. Warren County History - A Historical Docu-Drama, produced during Warren County's bicentennial (1997), this video portrays the history of Warren County from the Longhunters to its present prosperity. This video can be purchased from the Landmark Association in Bowling Green, Kentucky. "Warren County, Kentucky," by Baird, Nancy D., In Warren County, Kentucky Families. Paducah: Turner Publishing Company, 1991, information on the White Stone Quarry of Bowling Green, Kentucky, pages 7-9. White Stone Quarry of Bowling Green, Kentucky, Christy Spurlock Smith, Bowling Green: Western Kentucky University, 1984. White Stone Quarry Company. Description of the White Stone of Bowling Green, Kentucky, Louisville: Bradley & Gilbert, 1872.